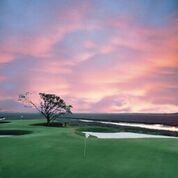 Three courses at significant savings just as the weather is starting to warm up will brighten the holidays for any golfer, whether that’s you or that special someone on your list. Myrtle Beach Golf is offering 50 percent off spring tee times on three or more rounds when booked from Wednesday, November 22 to Cyber Monday, November 27. The Black Friday special offers significant savings for the golfer on any list. The Black Friday special includes tee times before 8:30 a.m. and after 1 p.m. from March 2 to June 4 on any of the 22 Founders Collection designs. From Arnold Palmer's King’s North to the beautiful Pawleys Plantation Golf & Country Club, golfers can choose from challenging layouts to courses that offer a more relaxing day out in the South Carolina sun at prices they won’t find the rest of the year. March usually brings mild temperatures and for many, the urge to get outside. 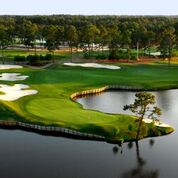 The Founders Collection courses offer some of the best designs along the Grand Strand. Choose from one of three premier layouts at Myrtle Beach National Golf Club. King’s North, for one, is an Arnold Palmer-designed gem offering several of the Grand Strand’s most memorable holes. At the par 5 #6, nicknamed “The Gambler,” golfers can choose to hit the driver long enough over an expansive water hazard onto an island fairway for a good chance of getting to the green in two or take the safe layup and a short approach over water for the more conventional three-shot hole. The course also delivers a dramatic ending with the par 4 18th, which features an array of 40 bunkers. Golf Digest’s “Places to Play” has awarded King's North 4.5 stars. Pawleys Plantation is a Jack Nicklaus course laid out among 200-year-old moss-draped oaks and bordered by a 600-acre nature preserve. Nicklaus carved out formidable par 4s, beautiful par 3s and memorable par 5s along the marsh and creek that divide Pawleys Island from the mainland. The Lowcountry favorite has received numerous accolades from Golf Digest, Golf Magazine, and other national media. These and 20 other legendary courses make the perfect gift this holiday season for a golfer of any skill level. Book the Black Friday special online or by calling 1-800-882-3420 by November 27 to reap the savings. Myrtle Beach Golf at MBN.com is home of the best tee times at Myrtle Beach golf courses, discounts and specials, stay and play golf vacation packages, and more. With 17 years experience in creating golf experiences online, Myrtle Beach Golf at MBN.com can plan, price, and book the Myrtle Beach golf getaway of a lifetime - at the best rates and value anywhere. Owned by Founders Group International (FGI), Myrtle Beach Golf at MBN.com helps thousands of golfers plan and assemble their ideal golf itineraries. Golfers can choose from “top-100 caliber” courses Pawleys Plantation Golf & Country Club, Grande Dunes Resort Club, TPC of Myrtle Beach, King’s North at Myrtle Beach National Golf Club, Pine Lakes Country Club and more than 80 other Myrtle Beach area courses. More information about Myrtle Beach Golf and Founders Group International is available at http://www.foundersgroupinternational.com, http://www.mbn.com, or MyrtleBeachGolfTrips.com.